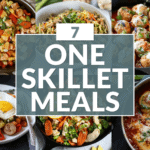 Make the most of your meal prepping time. 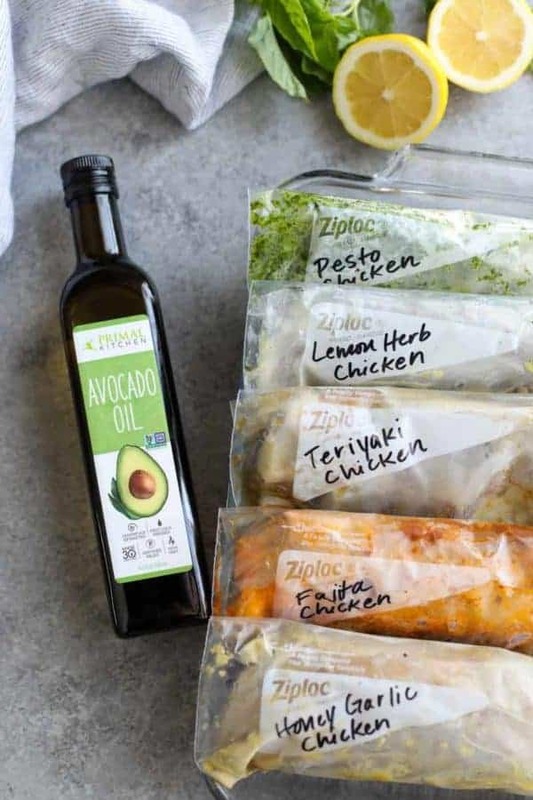 That’s a lot for one recipe to promise, but I swear that these 5 Easy Chicken Marinades are going to be a game-changer for you. I mean who doesn’t want to work smarter and not harder, and at the end of the hour have a stack of pre-marinated chicken like this to hit their freezer? Keep it clean, light and flavorful. I know that there are lots of folks out there that say the perfect marinade has to be X parts oil to X parts acid to X parts aromatics or sweeteners and that salt should or should not be added to the marinade, and, and…so many ands. 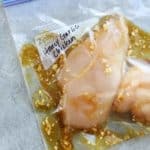 I think you can probably guess from that last statement that I’m less worried about making things perfect (or perfectly complicated) and more concerned with making things really good and really easy – which is exactly what I’m hoping to help you accomplish with these 5 easy chicken marinades. Speaking of good, let’s talk about the base of every good marinade: the oil. Since oil makes up the largest proportion of total ingredients in a marinade you want to be sure that you’re starting out with the best quality, best-tasting oil you can get your hands on. For us, that’s using Primal Kitchen Avocado Oil. 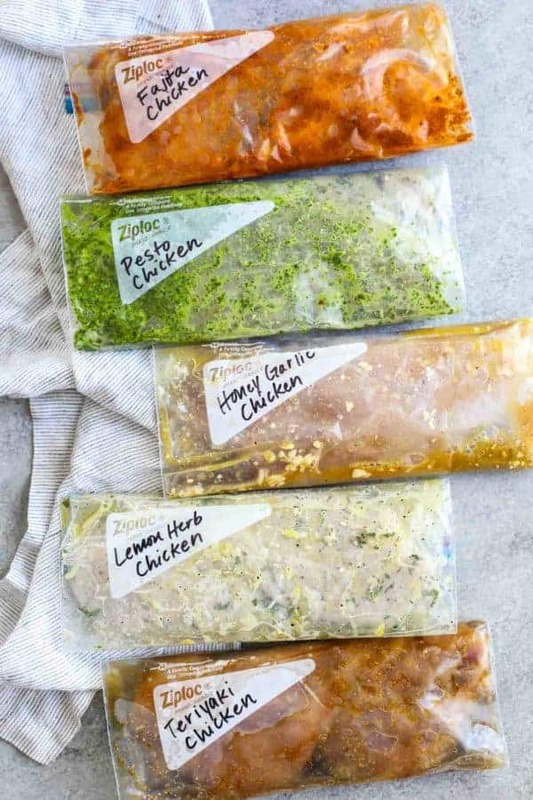 With these 5 easy chicken marinades – Honey-Garlic, Basil-Pesto, Fajita, Teriyaki, and Lemon-Herb – it’s easy to find something for everyone. The best part is that you can either pick and choose which marinade to make because there are five tasty options to choose from, or you can make all five at once and have plenty of variety to choose from. Or you can pick however many your heart desires, double or triple the quantities and start your own little stockpile of marinated, ready-to-cook chicken in the freezer (which is how I roll). How about some really fast, no-fuss options? Now I’ve got your attention! If the thought of mixing up a couple marinades when you’re really short on time is just too much, don’t fret. Our friends at Primal Kitchen have got you covered there, too. 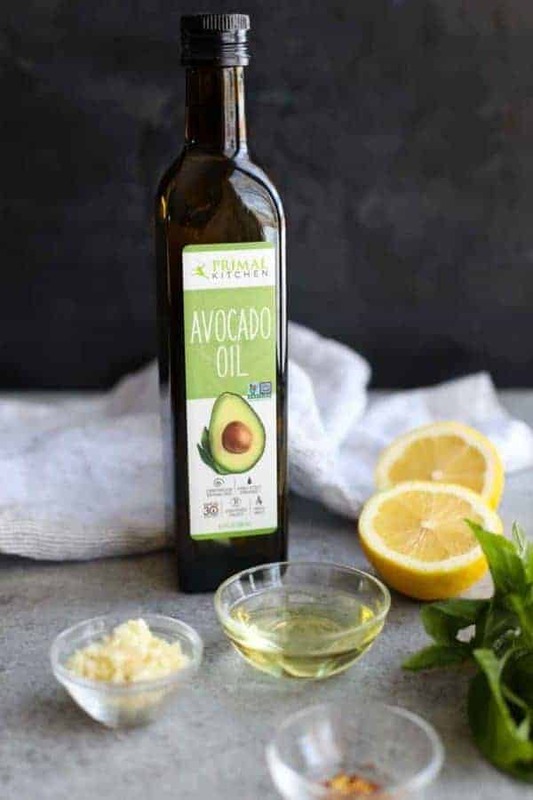 Their entire line of dressings and marinades feature avocado oil and minimal ingredients. Some of our favorite flavors for marinating include Balsamic Vinaigrette, Greek Vinaigrette, Honey Mustard, Lemon Turmeric, Sesame Ginger, and Italian. So now you can marinate your chicken and dress your salad with minimal effort and super clean ingredients. 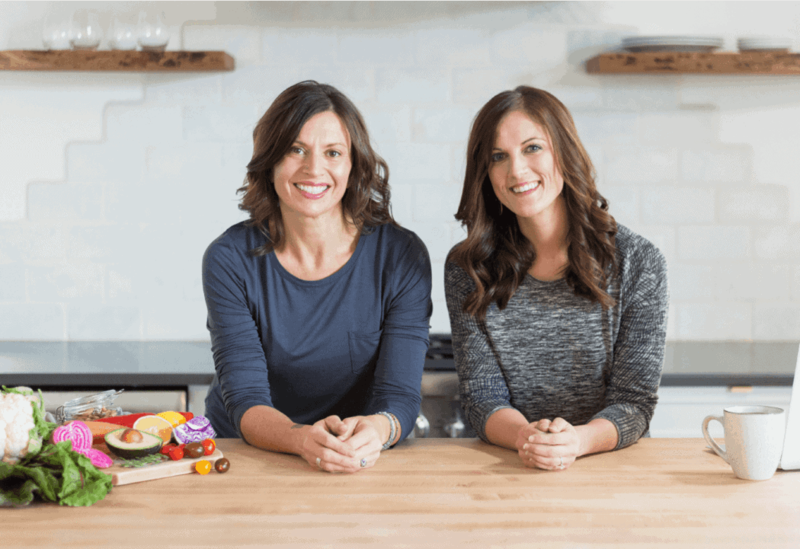 Don’t forget, use coupon code REALFOORDS to save 10% on your next Primal Kitchen purchase here. Alright, I’m about to address the big elephant in the room here – the plastic bags. 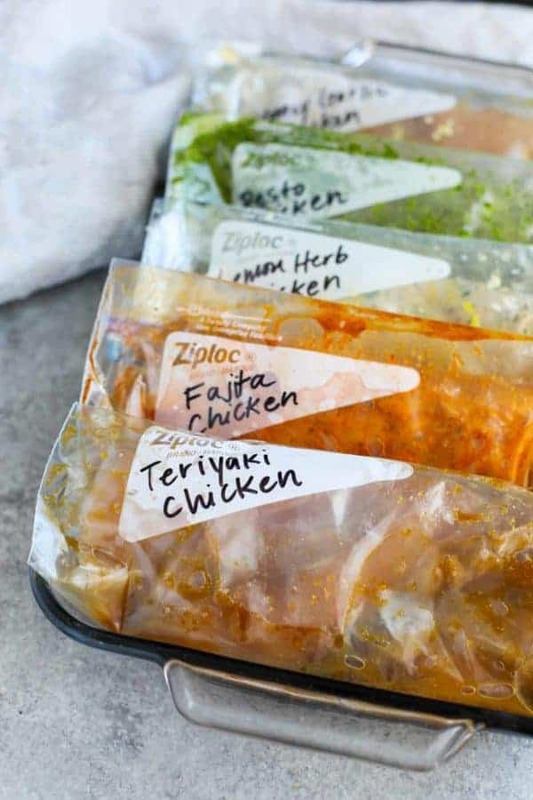 Last week I shared a sneak peek of the marinated chicken in plastic zip-top bags as you see here and that ruffled a few eco-friendly feathers so I want to talk a little more about options for freezing or storing your marinated chicken no matter where you are on the eco-friendly spectrum. But before I do so, I just want to say that Stacie and I are both working to minimize the amount of plastic we use in our kitchen (both reusable and one-time use) and become more eco-conscious in general, but it’s not easy. Neither of us is in a position to be able to buy all new containers and packaging so we’ve committed to phasing things in like reusable grocery and produce bags, swapping reusable beeswax-coated wraps for plastic wrap, using silicone baking mats instead of parchment or foil, but as I said, we can’t do it all overnight and we understand if you’re in a similar position (read: no judgment here). For this post, I opted to use plastic zip-top bags because that’s what I had on hand. Sure, I would have LOVED to have used reusable silicone bags (like these half-gallon Stasher bags) or freezer-safe glass containers, but I only have a couple of big Stasher Bags which I use daily and didn’t want to not have access to them because they’re hanging out in the freezer. The same goes for my favorite stackable glass containers with lids). Both the Stasher Bags and the glass containers are excellent eco-friendly options if you’ve got them, but if you don’t quite yet, a plastic zip-top bag CAN be reused if washed well with hot soapy water – I would just be sure to use them again for the same purpose (marinating chicken) and would recommend storing them (after washing and drying) in the freezer until you need them again to minimize the chances of bad bacteria growing in the event that you didn’t get them ultra-clean. Put dinner on the table faster. When you’ve got a stash of marinated chicken on hand you can get dinner on the table faster. The marinated chicken will keep in the fridge for 2-3 days before cooking. The minimum amount of time for marinating is about 4 hours to allow for the acid to tenderize and the flavors to penetrate the meat. For longer storage, place bags of chicken on a flat surface (a baking sheet or large plate works well) and freeze until solid. Freezing the bags flat makes them easier and more efficient to store. Remove chicken from the freezer the night before and allow to thaw in the refrigerator overnight. Place frozen chicken (in the bag or container) in a large bowl and run cool water over it until it is thawed. No time to thaw? 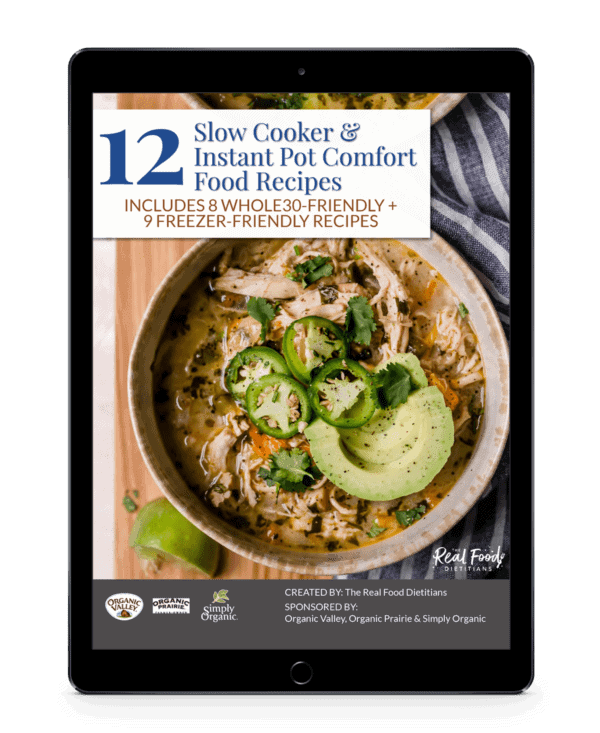 Consider using the Instant Pot to make quick work of dinner without thawing. 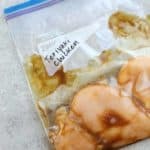 Remove frozen chicken from the bag and place inside an Instant Pot along with 1/2 cup of broth or liquid of choice. Use the ‘Poultry’ or High-Pressure setting and cook for 10 minutes. You don’t need to increase the cooking time for frozen chicken unless you have several pounds frozen together in a large block. Bake it in the oven – Preheat oven to 375℉. 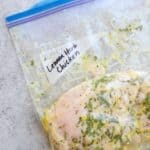 Place chicken in a baking dish or on a rimmed baking sheet lined with parchment paper or a silicone baking mat and bake in preheated oven for 15-20 minutes or until juices run clear and chicken is no longer pink in the middle (or registers 165℉ on an instant-read thermometer). Broil it under the broiler – Preheat broiler to medium-high heat. Position top oven rack 8 inches below broiler element. Place chicken on a rimmed baking sheet or in a cast iron pan and broil for 3-5 minutes on each side or until chicken is no longer pink in the middle (or registers 165℉ on an instant-read thermometer). If chicken is cooking too quickly, move pan to a lower rack. Note: When broiling chicken, you’ll have the best results if the chicken is a uniform thickness throughout. Grill it – Grill over medium-high heat as a single breast (or thigh) or cut into 1-inch chunks and thread onto skewers. Sauté or pan-fry it – Place a skillet over medium-high heat, add 1 tsp. cooking fat of choice (such as avocado oil, ghee, olive oil, etc.). Place chicken in pan, cook 5 minutes on each side or until the surface is lightly browned. Place lid on the pan, lower the heat and cook an additional 8-10 minutes or until juices run clear and chicken is no longer pink in the middle (or registers 165℉ on an instant-read thermometer). You may add a few tablespoons of water to the pan before covering with the lid if desired. 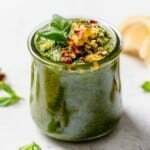 Pesto Chicken: Grill or bake and serve with spaghetti squash, zucchini noodles or pasta and your favorite marinara sauce. Fajita Chicken: Cut into strips and sauté until almost cooked through. Remove from pan. Sauté peppers and onions until tender, then add the chicken back to the pan and cook until chicken is cooked through. Serve with tortillas, over cauliflower rice or rice (as a burrito bowl), in lettuce wraps, etc. with your favorite fajita toppings. Honey Garlic Chicken: Bake, grill or broil and serve with just about any side dish or on a salad. Or thinly slice cooked chicken and add to a wrap. 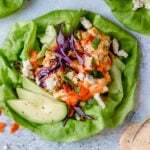 You can also cut the raw chicken into chunks and thread onto skewers with your favorite veggies, brushing the veggies with any leftover marinade and then grilling until chicken is cooked through. Teriyaki Chicken: This one is great for making a quick stir fry. Cut the chicken into small pieces and sauté until almost cooked through (reserve the marinade). Remove chicken from pan, add your favorite stir-fry veggies to the pan and sauté until crisp-tender. Return chicken and reserved marinade to the pan along with the veggies and bring marinade to a simmer to allow the chicken to cook through and veggies to become tender. 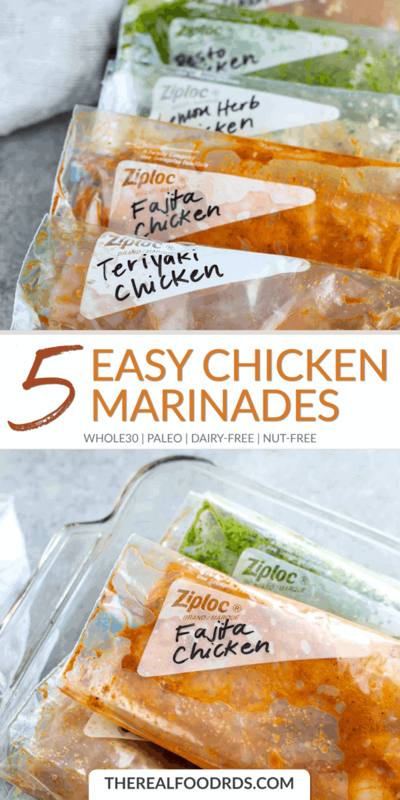 With these 5 easy chicken marinades now you can make the most of your meal prep AND get dinner on the table faster. Note: Because this marinade contains honey, it is not Whole30-compliant. 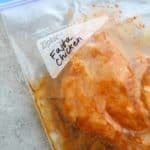 Place chicken in a zip-top plastic bag or another freezer-safe container (if you plan to freeze it). In a small bowl, whisk together marinade ingredients. Taste and adjust salt and pepper as desired. Pour over the chicken, close bag and gently massage to coat chicken pieces evenly. 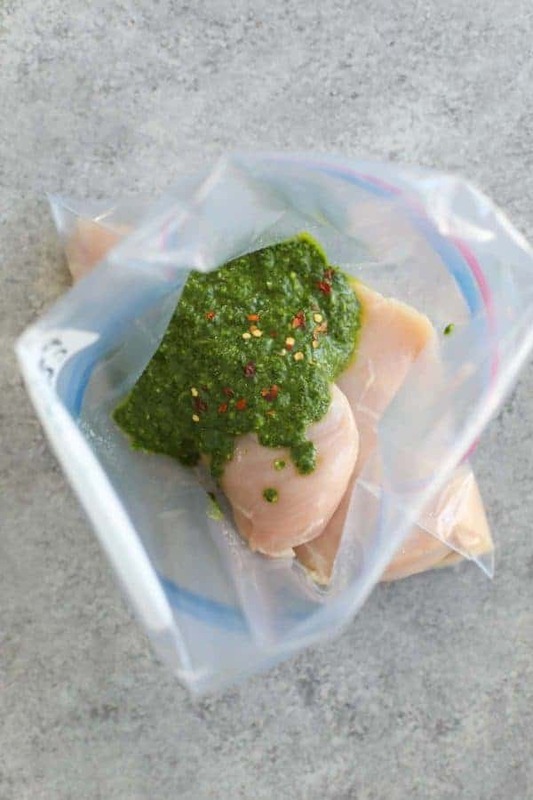 Pour marinade over the chicken, close bag and gently massage to coat chicken pieces evenly. *No food processor or don’t want to dirty it? You can mince the basil and garlic finely with a knife instead. 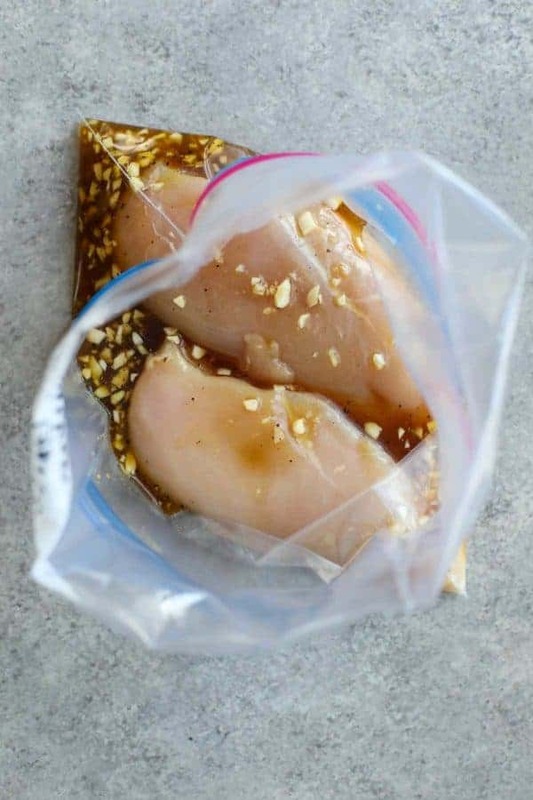 What’s your favorite flavor combos for marinating chicken? Got any meal prep hacks that you want to share? Tell us about it in the comments below. his post contains affiliate links, which means we receive a percentage of the sale if you use the link to make your purchase. This does not change the price of the product. This income directly offsets the cost of web hosting and maintenance so we greatly appreciate your support. You will want to add a 1/2 cup of broth or liquid of choice to the IP. Post has been updated to include those directions. Thanks! What’s the best way to cook these without an instant pot? They look delicious! I just added that information to the post – hope that helps! This is great – hope you enjoy it! 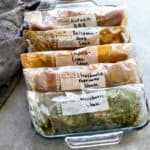 I did update the post to give some ideas on how to use each of the marinades for healthy, easy meals. 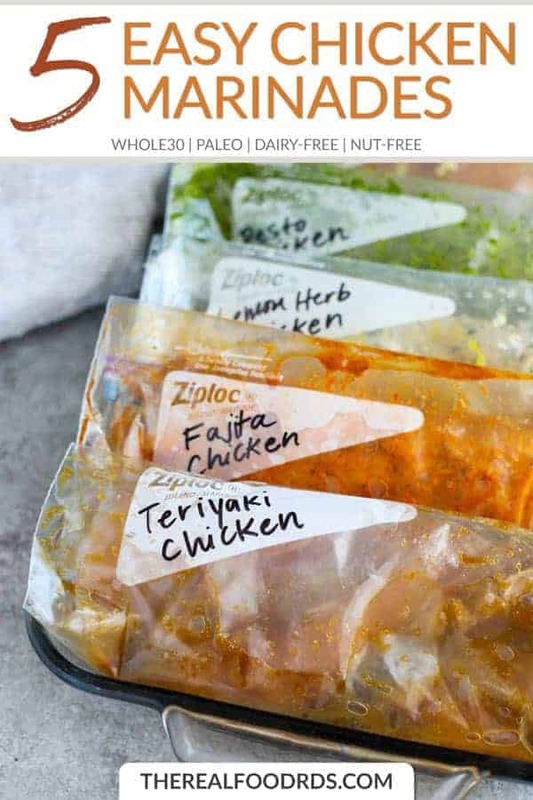 Should these stay in the refrigerator for at least the 4 hours to marinate before freezing or can they go straight to the freezer? 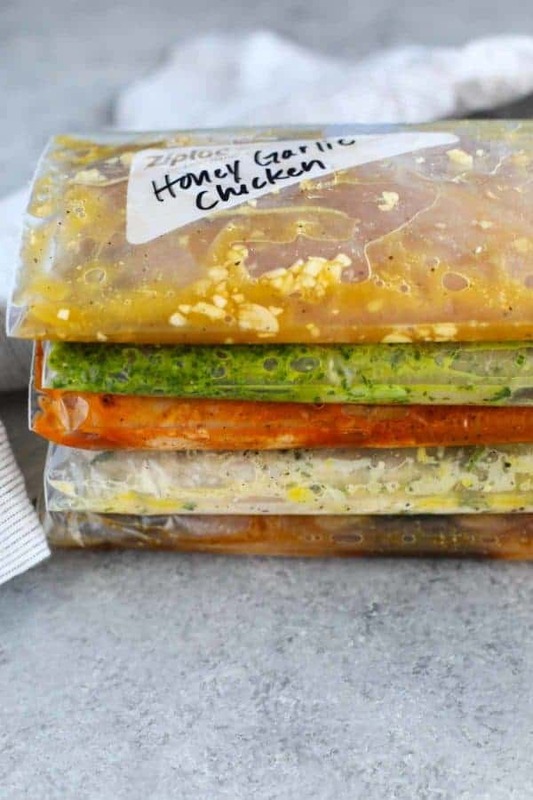 If you’re planning to freeze them you can put them right into the freezer as they’ll have plenty of time to marinate some more when you thaw them. These all look so delicious! If I were to remove frozen marinated chicken from the freezer the night before, when it comes time to cook could you please provide oven or stovetop cooking instructions (not for instant pot) please? Sorry, my intention wasn’t to provide only Instant Pot versions. I threw that in there because you don’t have to thaw the chicken before using the Instant Pot. 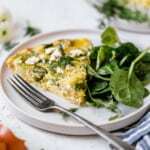 I’ve updated the post with ideas for stovetop, broiling, baking and grilling methods a few ideas for how to use the chicken to create fast, healthy meals. What sides might you suggest serving with this (in keeping with healthy and fairly quick)? See the updated copy at the end of the post with ideas on how to use the chicken. 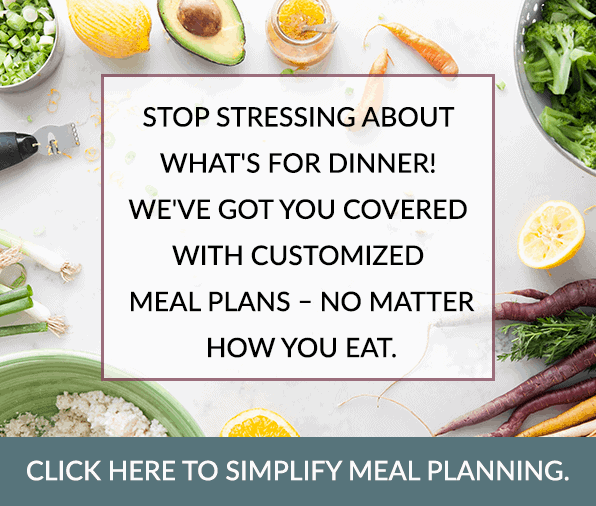 I don’t have an instant pot – what are some other options for cooking? I just updated the post with ideas for cooking and how to create healthy meals using the marinated chicken. So excited to prep these to have ready from my freezer! What’s your favorite way to cook the chicken breasts and thighs? 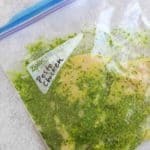 I just updated the post with some ideas on how to use the chicken. Hope that helps! Hello! I’m super excited to try these marinades but I have no instant pot! 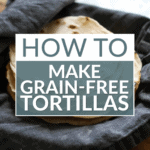 Could you provide instructions for baking, grilling or slow cooking? Thanks so much! Great question, I just updated the post with some ideas for cooking the chicken and building healthy meals with it.